Given its barren terrain and being the roof of the earth, Tibet is perhaps the world’s most challenging cycling destination. The Lhasa to Kathmandu biking is one of the longest and the best trekking trails in the world. Our journey starts with a spectacular flight from Kathmandu to Lhasa. Cyclists will cover a distance of almost 1000m in a non-stop adventure on the highest plateau region. We will cross as many as 5 Himalayan passes well over 5000m. Get ready to face tough trails, higher elevation, winding tracks, uncharted terretories and gusty winds. Above it all the extreme climate means you will have to put lot of endurance and stamina. The trails could be off-road or along well pitched road and sometimes you will have to face river crossings. A rider need to have riding skills as well as physically fit condition. Along the way you will be mesmerized the cultural and natural treasures of Tibet. From snow capped mountains, to prayering monks, lakes, nomad lifestyles, monasteries, the cycling journey into Tibet out of the ordinary experience. We will be spending more than 2 to 4 weeks in Tibet. Besides Cycling we will also have time to appreciate the natural beauty of Tibet, visiting monasteries, spending time in Lhasa and interacting with local Tibetans. 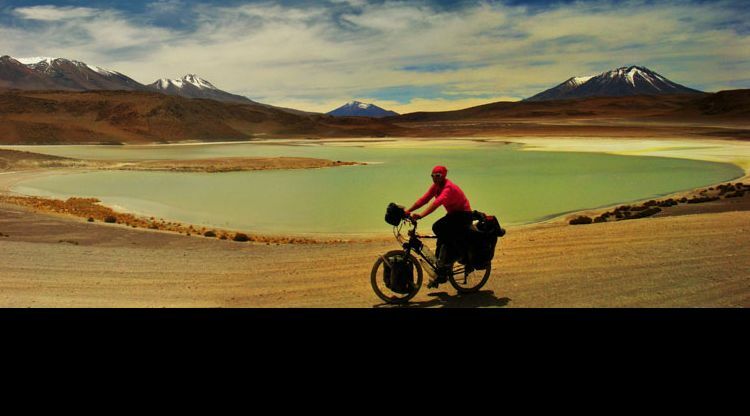 If you would like to cycle Tibet, please contact us. We will organize everything from arranging visas, to providing you with all the needed logistics like bicycles, guide, camping gears etc. Family tours are for those who wish to travel together with their family members. Nepal is one of the most preferred destinations for family travelers, as it offers myriads of opportunities to indulge in programs filled with entertainment and excitement. Nepal is a suitable destination for all age groups of travelers from kids to adults to old people. There are varied programs to suit every taste. Family tours could either involve travelling within cities and villages or visiting wildlife zones. In cities the families can travel together to learn about arts and architecture, observe past and present histories by walking through cultural and historical monuments and taste local as well as international cuisines. There are ample facilities for kids to play and have fun. Families can visit entertainment park, go shopping or visit zoos and museum. Wildlife excursions and jungle safaris will offer a unique experience for families to share the fun and excitement of watching and appreciating the beauty of nature. You can visit Elephant breeding center, bird sanctuary, walk along lakes or watch tigers and rhinos in their natural habitat. Some of the best destinations for Family tours are Kathmandu, Pokhara, Koshi Tappu wildlife Reserve, Ilam, Dhankuta, Bandipur, Ghalegaun and many more.